Ben Shahn, as much a photographer as he was a painter, often used photographs as a starting point for his paintings. In Carnival he juxtaposes an image from a photograph of a sleeping funfair stallholder with one of a couple enjoying a fairground ride. However, he uses photographs in his painting to tell a substantially different story: the stallholder asleep on the counter of a target shooting stall in the photograph becomes a sleeping visitor to the funfair, lying placidly on a bench next to a couple with their backs to the viewer, while the couple on one of the rides, in the background, takes on a rather unreal appearance in the painting as they are hovering in an indeterminate space. 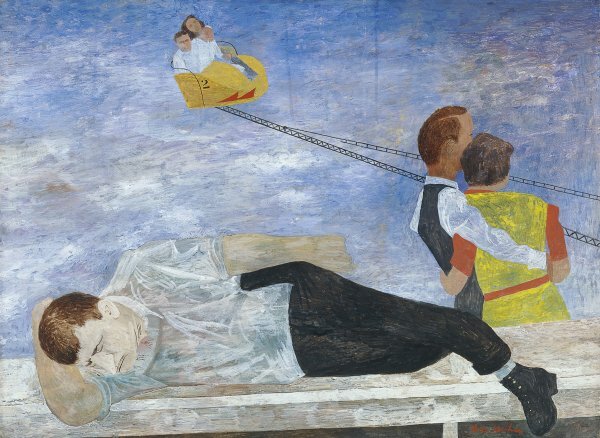 Shahn creates an abstraction of his own photographs by eliminating all superfluous detail and, by decontextualising the figures and compressing the space, infuses the work with a surrealistic air and makes it a reflection on the human condition. 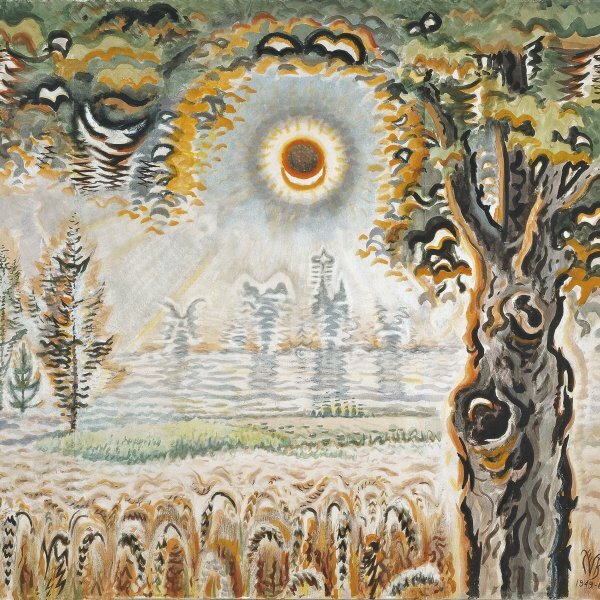 The scene, which might otherwise appear to be a peaceful festive afternoon, is transformed by the unreal atmosphere into the visual representation of the main figure’s dream. According to Gail Levin, it is the dream of a solitary man about longing to be part of a couple; she thus interprets the painting as an expression of the feeling of loneliness.